Alicia Watt was the daughter of Joseph and Eliza Ann Watt. Alicia was born about 1894 in County Tyrone. The family lived at 12 Georges Street, Dungannon. 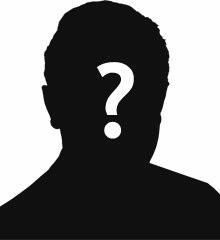 Joseph Watt’s occupation is ‘Car Owner’. By 1911 Alicia was working as a draper’s assistant in Castleblayney, Co Monaghan. Worker Alicia Watt joined the Queen Mary’s Auxiliary Army Corps, London Regiment. She was attached to 9th Reserve Battalion. 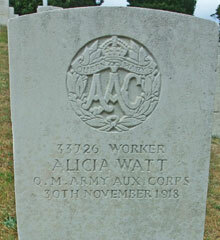 Alicia Watt died on 30th November 1918. She was aged about 24. She is buried in Aldershot Military Cemetery in England.